Cloverdale Avenue is a high-traffic corridor. Only one sidewalk was available for pedestrians traveling through the intersection to get to the local hospital, grocery store, nearby elementary school, and religious institutions. 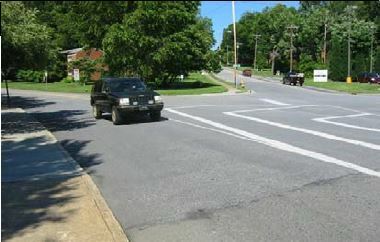 Pedestrians must cross two intersections lacking marked crosswalks, where wide-curb radii encourage motorists to speed around curves with little or no visibility. 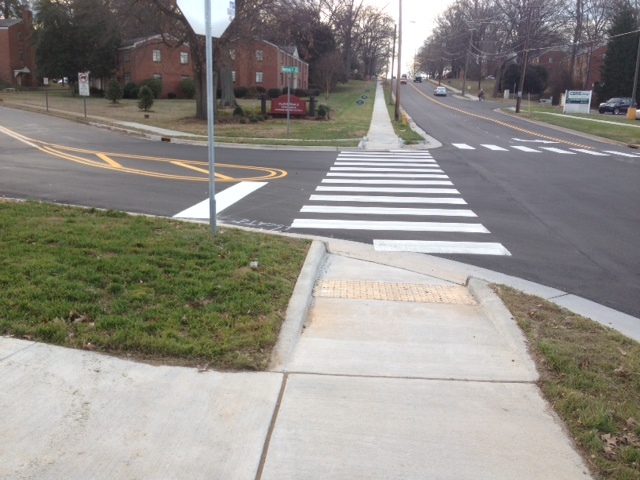 After a pedestrian fatality highlighted chronic safety concerns, neighborhood groups began working with City and Winston-Salem Forsyth MPO officials to improve pedestrian conditions. Community members called for a series of improvements along Cloverdale Avenue, which runs east-west across Winston-Salem’s largest historic neighborhood and connects Wake Forest Baptist Medical Center with commercial retail, grocery stores, a large park and schools on both ends. The desired sidewalks, traffic calming and resurfacing would improve conditions for pedestrians using the intersection. Cloverdale Avenue is a busy urban residential arterial that provides a connection between areas north and south of Business 40. Along its 1.5 mile length through southwest Winston-Salem the roadway widens from two lanes at its western portion to five lanes going east, reaching 70 feet wide at the interchange near Wake Forest Baptist Medical Center. The Cloverdale Avenue area is southwest of Winston-Salem’s central business district and connects residents to several shopping plazas, two elementary schools, grocery stores, a community park, and Wake Forest Baptist Medical Center. Cloverdale Avenue intersects with Miller Street, another major thoroughfare that runs beneath Interstate 40 and functions as a gateway for diverse neighborhoods just south of the hospital. Foot traffic is heaviest near the hospital, and despite the faded crosswalk striping and crumbling sidewalks the intersection at Cloverdale Avenue and Miller Street remains busy with pedestrian traffic 24 hours a day. Winston-Salem Transit Authority (WSTA) bus routes 12 (hourly service) and 20 (30 minute service) serve the Cloverdale Avenue area. In spring 2009, Winston-Salem Transportation Planning Manager Greg Errett hired HDR Engineering, Inc. to work with neighborhood groups, representatives from the local hospital, and area business owners to create a comprehensive list of improvements for the Cloverdale Avenue area. Winston-Salem Bicycle and Pedestrian Projects Coordinator Matthew Burczyk was among those working from the outset to gauge community interest on the study, which became the Cloverdale Avenue Pedestrian and Bicycle Study. 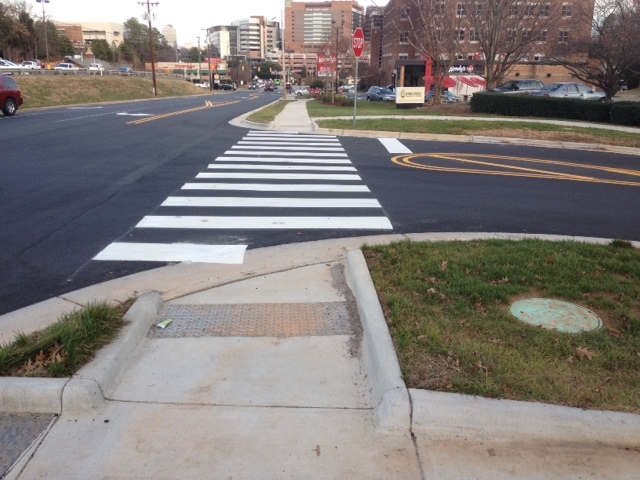 Planning efforts took approximately 12 months and reflected recommendations in the Winston-Salem Pedestrian Plan and Wake Forest University Baptist Medical Center’s Strategic Plan, especially for streetscape design objectives for improved accommodations. The Cloverdale Avenue Pedestrian and Bicycle Study included recommendations in three phases. The first 3-project phase was completed by October 2013. Subsequent phases of the project are scheduled for 2015 and 2017. The Winston-Salem Urban Area MPO approved the use of federal STP-DA funds to cover 80% of the project costs, while the city provided the 20% local match. The City’s Phase I costs were higher than expected, however, due to necessary street resurfacing that was not eligible for reimbursement under bicycle and pedestrian funding guidelines. Each phase was estimated to cost $650,000, for a total project cost of $1.95 million. The following elements were incorporated into the conceptual designs with North Carolina Complete Streets design guidelines in mind. The improvements are expected to result in an overall increased feeling of safety for residents, employees, and business owners. Over time, Mr. Burczyk and others expect to see lower speeds along Cloverdale and Miller, fewer pedestrian crashes where Magnolia Drive and Melrose Street intersect Cloverdale Avenue, and higher overall pedestrian use in the corridor connecting the hospital to food and commercial retail west of Ardmore Terrace apartments. The addition of sidewalks along the north of Cloverdale will also mean fewer informal pedestrian crossings, which will reduce the likelihood of crashes occurring. 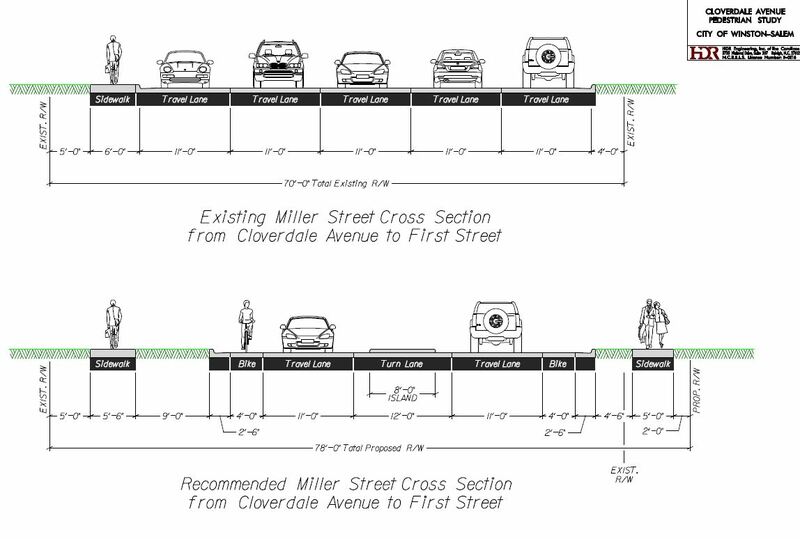 The Cloverdale Avenue Pedestrian and Bicycle Study demonstrated public demand for better multi-modal connections along Cloverdale Avenue and Miller Street. The successful coordination among MPO and community interests made this project a model for the entire city, encouraging more active lifestyles while improving the safety of current users. Burczyk, M. (2014, June 24) Discussion of Cloverdale Avenue Improvements. City of Winston-Salem Engineering Division. (2013). 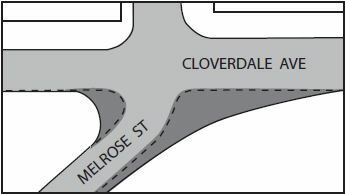 Cloverdale Avenue Improvements”. 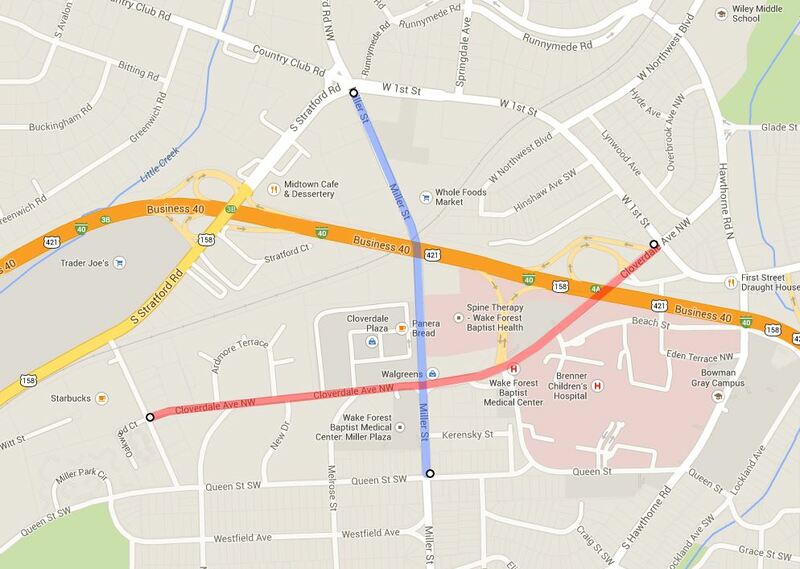 Retrieved from: http://www.cityofws.org/portals/0/pdf/engineering/Cloverdale%20Ave%20Improvements%202013.pdf.